Archaeopteryx is the earliest and most primitive bird currently definitely known (Protoavis has been claimed as an earlier bird, however many scientists dispute this). The name "Archaeopteryx" (which, as is often the case, is derived from Ancient Greek) means "ancient wing", although it is sometimes also known by the German name of "Urvogel" which means "first bird". Archaeopteryx lived in the Jurassic period between approximately 150 million and 145 million years ago. fossils of the animal have been found in what is today southern Germany, but was at the time an archipelago of islands in a warm tropical sea. Many scientists believe that Archaeopteryx is a transitional fossil between birds and dinosaurs, and its discovery has contributed greatly to the debate about evolution. The first complete specimen of Archaeopteryx was discovered in 1861, just two years after Charles Darwin published "On the Origin of Species by Natural Selection", and seemed to be a spectacular confirmation of his ideas. In particular, the idea that birds were descended from Theropod dinosaurs, was proposed by T. H. Huxley in 1868. Archaeopteryx seems to have grown to a maximum of about 1 foot 8 inches (50 centimeters) in length, about the size of a medium-sized modern bird. 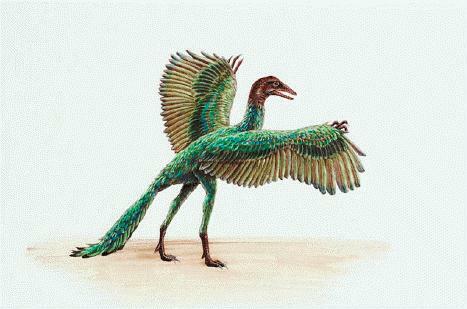 It seems to have definitely had feathers (see below) as well as some other avian features (including a wishbone and a partially reversed first toe), a larger brain than most dinosaurs (again more like birds), but Archaeopteryx also retained several features similar to Theropod dinosaurs. Dinosaur-like features included its small teeth and a long bony tail. To date, less than a dozen specimens of Archaeopteryx have been found, and many of these fossils appear to include evidence of feathers. Noteably, Archaeopteryx has flight feathers, so it is thought likely that these may have evolved from simpler feathers in its as yet undiscovered ancestors. 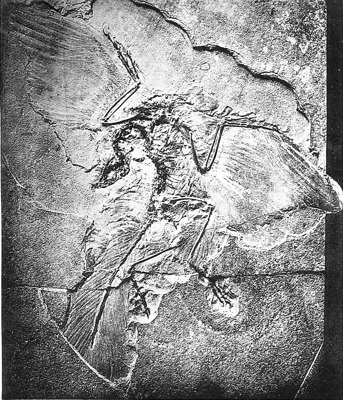 Over the years, there have been a number of controversies and debates relating to Archaeopteryx, including whether it should be classified as a bird at all, and how it relates to modern birds (currently, many scientists believe that Archaeopteryx is a close relative of the ancestor of modern birds, rather than the direct ancestor). One of the key points of scientific interest in Archaeopteryx is what it can teach us about the evolution of flying in birds. One theory is that flight evolved from fast-running after insects and other small prey such as small lizards (an idea first proposed by Samuel Wendell Williston). The main alternative theory is that flight began by jumping or gliding down from trees (this theory was first proposed by Othniel C. Marsh). Although it seems pretty clear that Archaeopteryx could fly, it is not entirely clear which of these two theories it provides evidence for - Archaeopteryx does not seem particularly well-suited for either running or for perching in trees. 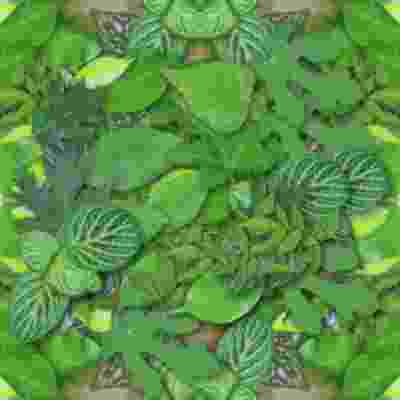 We do know however that there were few in the local environment at the Archaeopteryx was alive, although it is of course possible that Archaeopteryx simply used shrubs, cliffs, and whatever trees were available. Dr. Wellnhofer is the world's authority on the 150-million-year-old Archaeopteryx and he has been so for over thirty years. He has published major studies on many specimens of Archaeopteryx, has curated exhibitions about the Urvogel, written popular accounts, lectured extensively, and participated in media-related interviews. Archaeopteryx is what I like to describe as a "paleontological Mona Lisa". Its priceless fossils - up to now ten skeletal specimens and a single feather imprint discovered during the last 145 years - have had a tremendous significance in our understanding of evolution, and their impact has gone way beyond science and into social grounds. Dr. Wellnhofer's book narrates the history of the discoveries of the individual specimens, and the stories behind them - those of the collectors, dealers, museum curators and scholars whose lives became entangled with these discoveries. It includes chapters of the world-famous Solnhofen lithographic limestone, covering aspects of its geology and special fossil preservation, and interpretations of the ancient environment inhabited by Archaeopteryx. The core of the book includes detailed descriptions and illustrations of each specimen. These and other chapters discuss the different interpretations regarding the size, growth and life history, plumage, physiology, and life style. Because Archaeopteryx has played a key role in discussions about the origin of birds and of their flight, the book also adresses the rise of birds - highlighting the evidence that supports the evolutionary connection between birds and the carnivorous theropod dinosaurs - and the controversial issue of the beginning of avian flight. The text is written for a general audience and is thoroughly supplemented by photographs, drawings, diagrams, and maps, and detailed notes and references. There has never been a book like this one and no one else could write it today. Explores what scientists have uncovered about Archaeopteryx. Colorful photos and illustrations help bring each dinosaur to life as easy-to-read text guides readers through important discoveries about its appearance, diet, and habitat. Presents an examination of the scientific implications and continuing controversy over Archaeopteryx, a bird-reptile fossil discovered 130 years ago that many scientists believe offers tangible proof of Darwin's theory of evolution. 15,000 first printing. The earliest known bird, Archaeopteryx first appeared about 150 million years ago. Kids will be introduced to a creature that was no larger than a crow, but that proved remarkably important to scientists searching for answers about the ancient relatives of modern-day birds. The name archaeopteryx means ancient wing. Believed to be an ancient ancestor of modern birds, the archaeopteryx lived 15 million years ago during the Jurassic Period. Though a relative of birds, archaeopteryx had many dinosaur-like features – a long bony tail, sharp teeth, and hand-like claws. This enchanting volume follows an archaeopteryx from its birth to maturity. Growing up was challenging for this reptile-bird, avoiding predators and competing for a mate are just some of the difficulties it encountered. This lively book combines an exciting story with fascinating facts. Songs of the Archaeopteryx is a collection of aviation-themed stories by Keoki Gray. While the focus is on characters, there is rich detail that provides a glimpse into the remarkable world of general aviation, flight training and aerobatics. Archaeopteryx: Notebook 150 lined pages 6"x 9"
Stylish designer A4 lecture book with 150 lined pages, 8.5" x 11". Beautiful glossy softcover, perfect for everyday use. Record all your important details or precious memories. Perfectly spaced between lines to allow plenty of room to write. Wild Pages Press are publishers of unique journals, school exercise books, college or university lecture pads, memo books, notebooks, journals and travel journals that are a little bit quirky and different. Stunning covers, sturdy for everyday use. Great quality, we offer thousands of different designs to choose from. Our quality products make amazing gifts perfect for any special occasion or for a bit of luxury for everyday use. Our products are so versatile, they come in a wide range, be it the perfect travel companion, or a stylish lecture pad for college or university, cool exercise book for school, comprehensive notebook for work, or as a journal, the perfect family heirloom to be treasured for years to come. Our quality products are made in the USA and competitively priced so they can be enjoyed by everyone. Our full range of products are available for purchase at www.amazon.com. Archaeopteryx Ancient Wings Dinosaur Books for Young Readers Bestselling author John Davidson presents "Archaeopteryx Ancient Wings". Beautiful Pictures and easy reading format will help children fall in love with Dinosaurs. This is one of over 50 books in the Amazing Animal Books for Young Readers Series. http://AmazingAnimalBooks.com The series is known as one of the most beautiful on the kindle. The pictures look great even in black and white and are excellent on the full color kindle. Lots of facts and photos will help your children learn about this wonderful animal. Children are given a well-rounded understanding of this beautiful animal: its anatomy, feeding habits and behavior. *** You and your kids will love learning about Dinosaurs*** Table of Contents Introduction Chapter 1: Appearance Chapter 2: Behavior Chapter 3: Environment Conclusion Author Bio Introduction Greetings young reader! Today we are going to take a step back in time and enter the age of the dinosaurs. The dinosaurs are an extinct species of animal that began to live on the Earth over 200 million years ago. “Extinct” means that they no longer exist. The dinosaurs are some of the most intriguing and awe-inspiring animals that have existed on our planet. The dinosaurs’ colossal size, strange characteristics, and mysterious disappearance make them inherently worthy of study and interest. Even more than these reasons, the study of dinosaurs itself is an incredible adventure which requires thought and imagination. The study of dinosaurs helps you to appreciate just how mysterious and amazing life and nature really is. Our planet supports not only us and the animals that live today, but it even supported creatures as gigantic and strange as the dinosaurs- just think how cool that is! I hope that you bring a spirit of openness and wonder to your study of the dinosaurs, and that you come to appreciate the mystery and value of the dinosaurs. Today we are going to take a look at an incredibly fascinating dinosaur called the Archaeopteryx. The Archaeopteryx is receiving a lot of attention today by scientists and paleontologists because of its dual nature: it was not only a dinosaur, but it was also one of the very first birds! This dinosaur’s status makes it a crucial to the evolutionary theory. Evolution is the theoretical process through which living things are thought to have come into existence. We will discuss this theory in the pages to come. We are not only going to talk about the Archaeopteryx’s relationship to evolutionary theory, but also about what the Archaeopteryx looked like, how it behaved, where and when it lived, and even about the plants and animals it shared its habitat with. We know what we know about the dinosaurs from a variety of sources including fossils, biology, and other scientific disciplines. Fossils are the ancient remains of the dinosaurs, the most familiar being their bones. Biological science is the study of life in general, but many scientists compare the dinosaurs to modern day animals to support their theories.